NPR Headquarters in Washington, DC. Tuesday October 18; Washington D.C. - Across the board, NPR's multiplatform journalism has seen a tremendous audience growth. NPR's radio broadcasts, podcasts, and digital reporting have all reached new heights in 2016. "NPR's increased ratings and digital engagement can be attributed to first rate journalism, riveting storytelling, revamped newsmagazines, live reporting, and better user platforms," said Jarl Mohn, president and CEO of NPR. "And that means we are all doing a far better job of our public service mission, community engagement and local impact. "While some of our audience growth is due to this unusual election cycle, the audience we retain is a tribute to the exceptional reporting of NPR and Member station journalists. I would also point out that NPR stations have outperformed many of their commercial news counterparts. Commercial news radio, which operates in the same news cycle and is affected by the same events, is up 15% in the morning; NPR is up 26%. In the afternoons, commercial news radio is up 19% in the top markets; NPR is up 43%. "These increases confirm that there is a real appetite for factual reporting, and people are turning to NPR as their source for credible news." The number of listeners for every NPR news, information and talk program increased considerably this year. 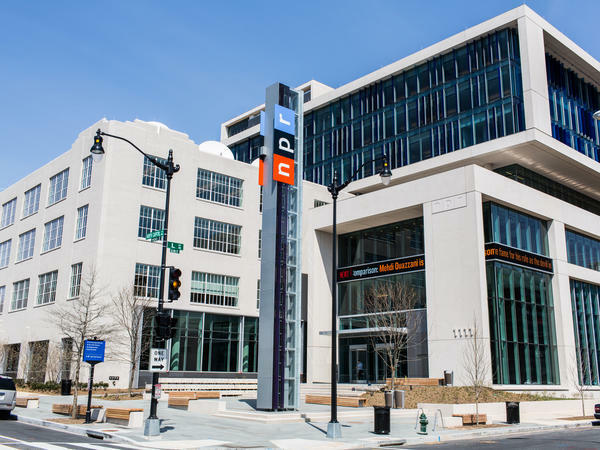 NPR's flagship programs, Morning Edition and All Things Considered, broke broadcast audience records, particularly in the coveted 25-54 age demographic. The total weekly listeners for all NPR stations are about 36.6 million; weekly listeners for NPR Programming and Newscasts account for about 28.8 million of that total. In an increasingly competitive field, NPR remains the leading publisher of podcasts, holding Podtrac's #1 spot for the 6th month in a row (since Podtrac began counting). In the month of September, NPR's combined podcasts had 63 million unique downloads, nearly double its closest publisher. Every new podcast launched by NPR in the last two years has reached #1 on the iTunes top ten ranking at the time of their launch, and then stayed in the top ten for weeks. The NPR Politics Podcast, which launched in 2015, most recently took over the #1 spot on the iTunes charts. The Politics Podcast, which has averaged about 450,000 downloads a week over the last three months, reached a staggering 1,118,000 downloads during the first week of October. Starting October 25, the NPR Politics Podcast will be releasing a new episode EVERY DAY until the election. NPR has made huge gains in mobile usage and online traffic. The NPR One app, which delivers curated stories and podcasts to users based on their individual preferences, has grown 124% year over year. Use of the digital content available at NPR.org also climbed to record highs, reaching 40 million unique visitors in September for an average of over 36 million per month. NPR.org's success is partly due to innovations like NPR's live fact-checking tool of the Presidential debates. During the first Presidential debate, NPR's fact checking tool attracted over 9.7 million page views from 7.7 million unique viewers – making the first debate and the following day NPR's two largest web traffic days ever. NPR connects to audiences on the air, online, and in person. More than 26 million radio listeners tune in to NPR stations each week and more than 30 million unique visitors access NPR.org each month making NPR one of the most trusted sources of news and insights on life and the arts. NPR shares compelling stories, audio and photos with millions of social media users on Facebook, Twitter, Instagram, Pinterest, YouTube and Snapchat; NPR News and NPR One apps, online streaming, podcasts, iTunes radio and connected car dashboards help meet audiences where they are. NPR's live events bring to the stage two-way conversations between NPR hosts and the audience in collaboration with the public radio Member station community. This robust access to public service journalism makes NPR an indispensable resource in the media landscape.